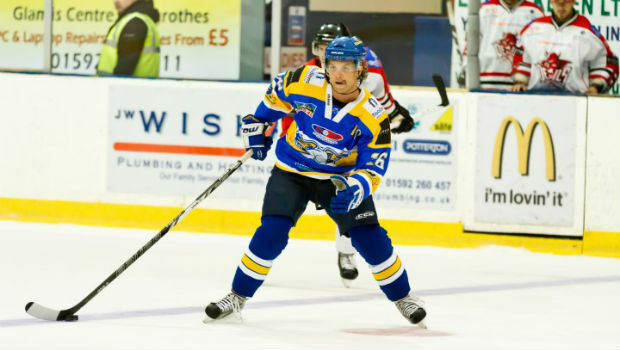 Fife Flyers have announced that their Player of the Year Jordan Fulton will be staying with them for the 2014/15 season. There was huge interest in the 6’0 195lbs forward from various teams across the UK and Europe, but Fulton decided to return to the Kirkcaldy based club for a second season, a move which is sure to delight the Flyers fans. In 2013/14 the 26 year old Minnesotan won Forward of the Year, Top Points Scorer, Player’s Player and Player of the Year at the 2013/14 Fife Flyers End of Season Awards, which shows just how popular he is with both team mates and fans alike. Fulton will don the #26 jersey once again for the Flyers and is excited about the season ahead.